Gillette World Sport recently visited the Japan Keirin School in Shuzenji to document the training regimes that students undergo in order to reach their full potential as professional keirin racers. The first keirin event in Japan was organised by the local government in the city of Kokura in 1948 as a gambling event to raise funds for post-war reconstruction and as a way to develop the lucrative bicycle industry. From there it has grown into a nationwide spectacle with 47 velodromes around Japan each hosting events on 70 days of the year. Almost 2,500 professional racers participate in keirin events nationwide making it Japan's largest professional sport. From its humble beginnings keirin has become an official Olympic event, increasing its profile and popularity internationally. Olympic keirin debued at the 2000 Sydney Games and the first Japanese racer to win an Olympic medal was Kiyofumi Nagai took 3rd place for Japan at the 2008 Beijing Olympics. Despite the popularity of keirin races overseas the sport suffers a serious image problem in Japan due to its association with gambling. 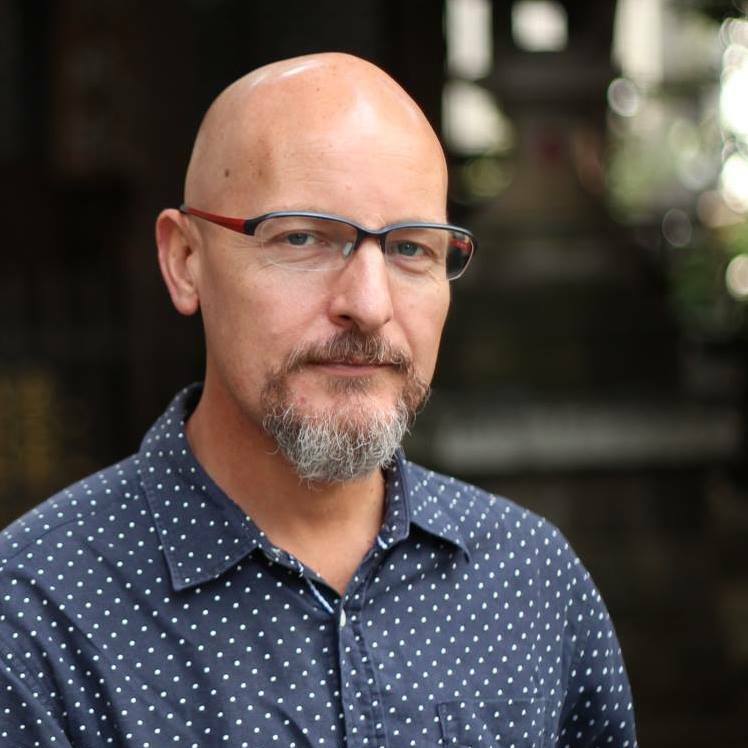 In an interview in the World Sport video one Keirin School trainer explains how they impart on their students the importance to perform due of the huge amounts of money riding on each race, demonstrating that gambling, not sport is the root of keirin in Japan. Annual sales of betting tickets reach approximately 800 billion yen, with roughly 60 million tickets sold each year which demonstrates that keirin in Japan is clearly more about gambling than cycling. The video also shows how regimented the lives of new recruits is, with students sporting mandatory shaved heads taking part in military like training and drills. While trainers stress the importance of incorporating new technologies into the sport one can't feel that the strict training regimes that strip racers of their individuality are stuck deep in the past. Indeed you could argue that it is the lack of charismatic riders that is also hindering the sport. Visit any velodrome in Japan and you'll notice most spectators are males, in their 50's or over, who reek of tobacco and alcohol, who would gladly skip work to visit the track and they're most certainly more interested in gambling than cycling. Each time I've visited velodromes in Japan most punters have been indoors, smoking, placing bets and watching numbers flash across monitors rather than out in the stands cheering on the racers. With training regimes stuck in the past, and an ageing audience slowly smoking and drinking itself to oblivion Keirin needs to clean up its act in order to appeal to a younger audience who are less and less likely to be keen on gambling. 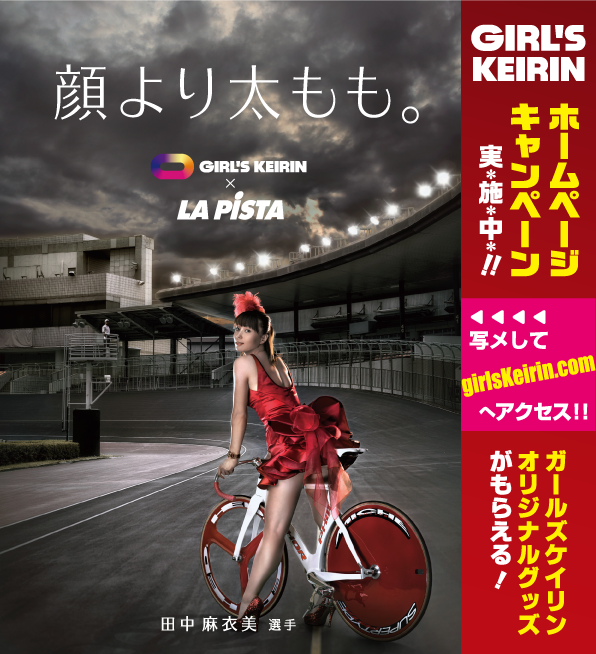 Promoters are trying hard to lift the image of keirin in Japan but are failing miserably as are promoters of Japan's other gambling related sports, horse and motor boat racing. The keirin website has a page encouraging people to "take part". I clicked expecting to find times I could visit and ride the velodrome track with my friends, or join amateur races only to discover a page informing me how easy it is to fill out a betting form! The recent fixie boom in Japan drew young people who previously had no interest in cycling what so ever to the bicycle in droves and handed keirin a golden opportunity to attract young people to the track, an opportunity they entirely failed to capitalise on. 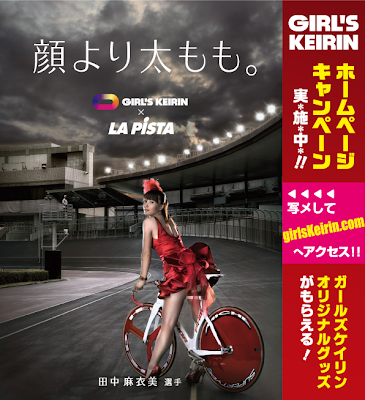 One million kids who love fixed gear bicycles are of no interest to the Japan Keirin Association unless they gamble. Isn't time they changed their business model? Armature road and mountain bike races in Japan are attracting millions of cyclists each year. The ever popular Fuji Hill Climb in which cyclists race entirely up hill to Mt Fuji's fifth station sells out within minutes of tickets going on sale. Imagine the number of people who could have been drawn into armature track races and training days at the height of the fixie boom. 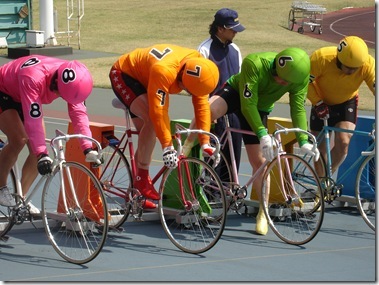 By being entirely focused on gambling the Japan Keirin Association dropped the ball. Keirin promoters in Japan are failing to promote their sport, choosing to gambling to an audience that is diminishing day by day. As a tourist visiting Japan who is thinking of heading to the track for an afternoon or evening of entertainment, don't expect to get directions from your hotel tourist desk, or local bicycle store. Keirin's image here is so bad that I've heard stories of tourist desk staff actively discouraging tourists from visiting the track. Tourist desks will most certainly not have any keirin pamphlets on hand that's for sure, nor will they find it easy to give you directions to the nearest velodrome, its not mainstream enough for that. Unfortunately the Keirin Japan website can be difficult to navigate if you do not read Japanese, so if you need assistance finding somewhere to watch a race during our stay in Japan, drop me a line and I'll hook you up. Hi Byron. I went to watch the Keirin with my wife when we visited Busan, Korea where my Brother-in-law lives, and found the crowd pretty much as you say here. But we absolutely loved it. The punters obviously thought we were a bit of a novelty and went out of their way to show us how to place a bet. Seeing as the lowest bets you can place are so small, it wasn't an expensive night at all, like a dog racing night in London, but much more fun. The riders looked super cool and the language barrier didn't take away from the experience. I would have loved to have taken home some souvenirs from the velodrome, but all that was on sale was a form guide packed full of stats and no photo's. I would have loved a tshirt, book, magazine, anything really, which is where the whole thing falls down as a spectator event. We also went to see the baseball while over there. Also great value for money, but packed with young kids in the crowd and merchandise a plenty. In fact, it was so family friendly, it put any sports event in England to shame. My Korean relations had never even thought of going to the velodrome! My wife and I could see the potential of Keirin, I just wish the organisers could. I'd go again every week if I lived in Korea or Japan and not for the gambling. I love watching track, reading about the riders, the training, the bikes, there's so much to love. I hope they turn this thing around, I'd love to go again one day. All the best. Steve.